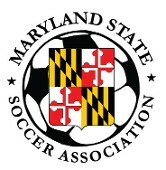 The Stewart Cup is Maryland's second oldest cup competition, first played in 1932. It is Maryland's amateur championship. The winner of the Stewart Cup will advance to the USASA Region I qualifiers for the US Amateur Cup. 26 Feb MLK Park Yinz United Aegean Hawks FC 3:2 e.t.